The perfect day on the water making memories that will last a lifetime! Depending on the time of the year our main targets will be Fluke, Bluefish, Triggerfish or Blackfish. Captain Tom works hard to make sure everyone aboard is catching fish and the crew always brings something home for dinner! Throughout the year we target a variety of species. 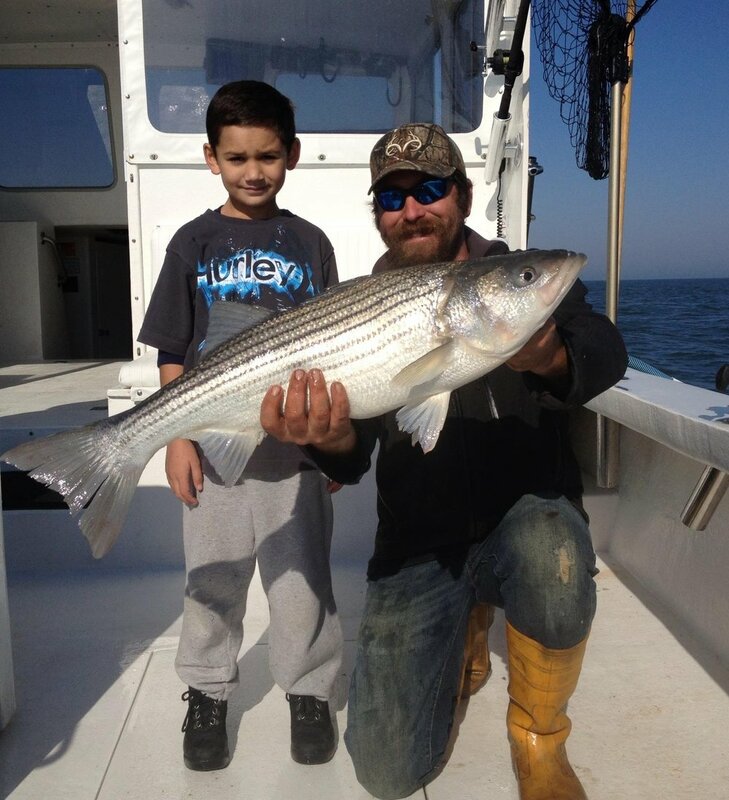 Fluke, Seabass, Bluefish, Stripers, Drum and Blackfish tend to be the main targets. New Jersey's inshore fisheries are migrational and seasonal so depending on the time of year our targeted species will change. For more information visit our targeted species page. New Jersey's offshore waters will old many Migratory Species throughout the year. Multiple different species of Tuna, Mahi Mahi, Swordfish, Marlin and Highly Migratory Sharks like Mako and Thresher are targeted throughout the year. For more information visit our targeted species page. - No hard alcohol, beer is permitted in moderation. If any member of the crew becomes intoxicated, the trip will be cancelled and no refund will be given. - If a charter is cancelled with less than 72 hrs notice, the full charter rate will be charged. - We now accept credit cards: Visa, Mastercard, Discover, and American Express. A 3% surcharge will be added to the total charge. - If a trip is cancelled due to weather, Fishin' Fever Sportfishing reserves the right to reschedule the trip once.